INVINCIBLE FITNESS is formed by active athletes and fitness addicts. Trust us; we know exactly what you need for your trainings. 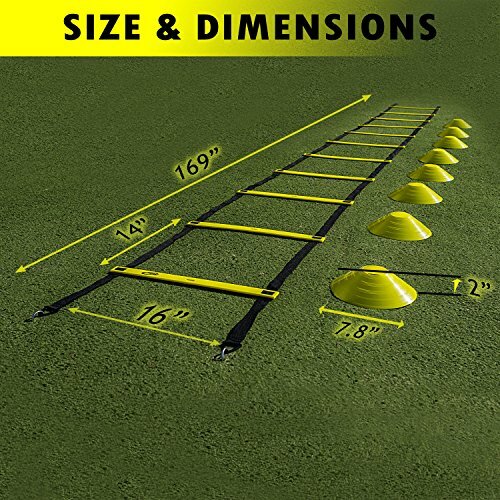 Our unique agility ladder is the best in Amazon and combines the best and ultimate set FOR YOU! Quickly improves your explosive power & acceleration. Improves your coordination & speed. For all group ages! – Youth and adults, for beginners & professionals. Durable materials – rungs are 5 mm THICK! – Best quality. Maintain core strength, overall good health, flexibility and performance. 8 elastic cones made from durable, strong materials. Beautiful portable carry bag for you to take anywhere you desire. 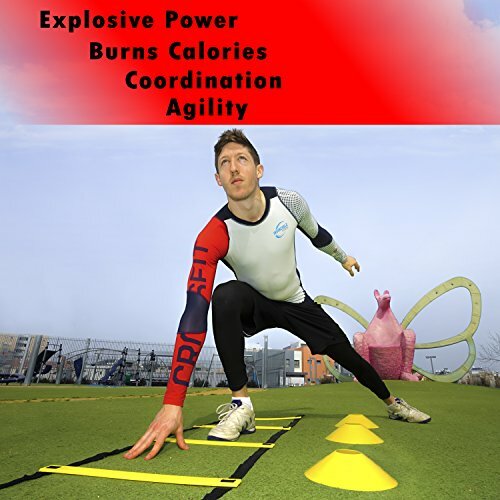 1 video by Invincible Fitness models – simple & advance agility drills. 4 metal pegs for outdoor sports such as: football, soccer, baseball – they hold the ladder still, work consciously! 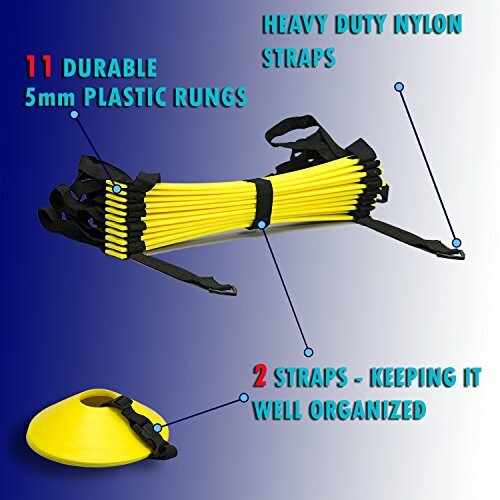 ⚡ THE ULTIMATE SET – Agility ladder 15 feet, 11 heavy-duty Rungs – 5 m”m THICK!, 8 elastic cones, Constructed with high quality durable materials, folds EASILY!  GET FASTER & STRONGER! 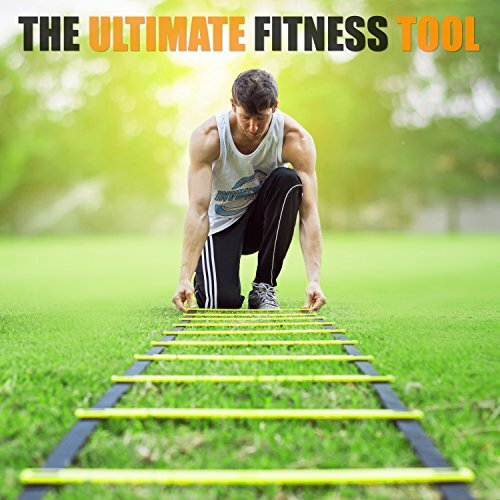 – Top athletes use this ladder, very simple & easy to use, great as a warm up routine before your trainings, your performance and skills will increase! Use it regularly and see results quickly. 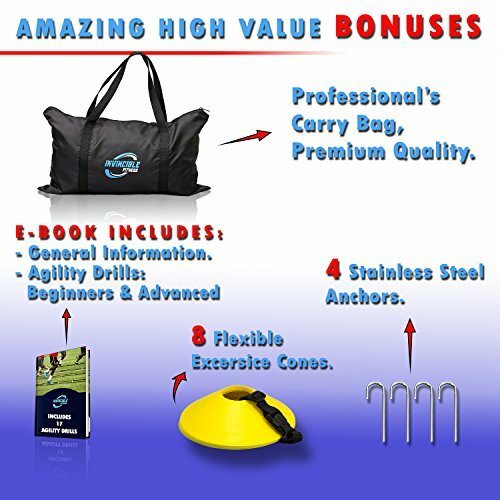  EXTRA VALUE & BENEFITS! 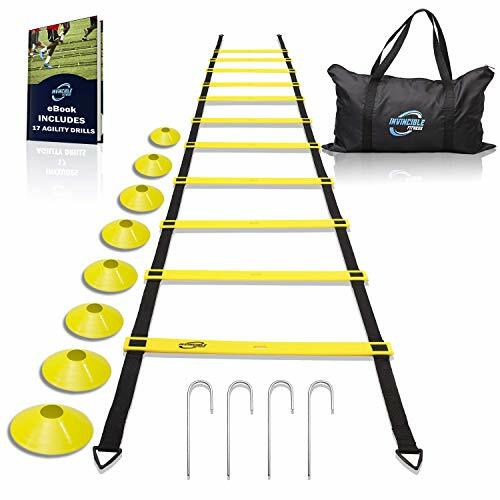 – Includes 8 durable cones, 4 metal hooks, premium carry bag + FREE E-book with a video: 17 agility DRILLS for beginners & professionals. Increase your speed & mobility, prevent injuries, improve your co-ordination, burn lots of calories, get fit and BE A PRO!  GREAT GIFT FOR EVERYONE – For all group ages, portable – train indoor or outdoor! 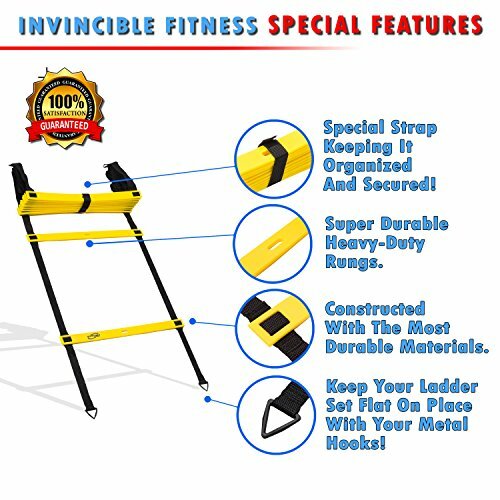 Just choose, Place ladder inside your suitcase and travel anywhere, get your kids one and train with them! 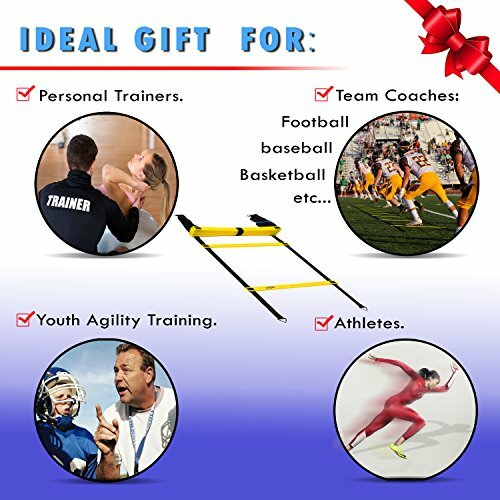 Suitable for any sport: boxing, soccer, basketball, tennis and more. 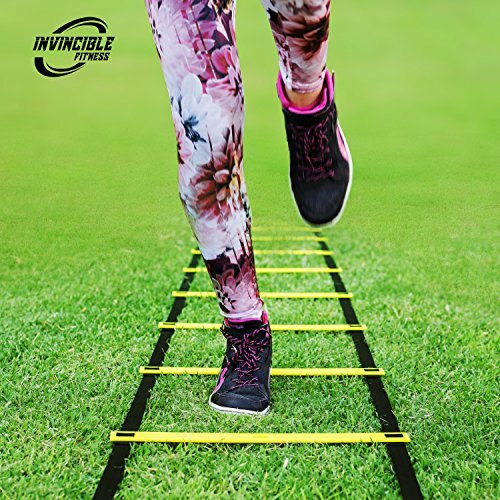 ✅ BUY WITH CONFIDENCE – Invincible Fitness is formed by active athletes, we are 100% sure of our products quality, if you are not satisfied we will make sure to refund you, customer service is available 247, don’t hesitate, GET YOURS NOW!